SURAT THANI, July 1 – The water situation in Koh Phangan, one of Thailand’s top tourist destinations, is worrisome for the island is risking a crisis due a shortage of water resources. 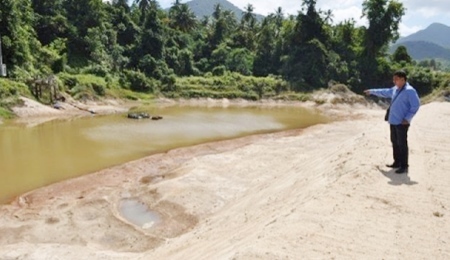 Koh Phangan Provincial Waterworks Authority official Pichaya Nititham said three local untreated water resources which are used to produce water supply for the island have become dry for over two months. As a result, a local water treatment plant belonging to the waterworks authority can only produce 200 cubic metres of water/day from an original 1,500 cubic metres/day. Mr Pichaya said the water distribution system was thus rearranged to only twice/day, once in the morning and once in the evening. He said if there is no rain within two weeks, all untreated water resources on the island will be completely exhausted, and Koh Phangan will not be able to produce its own water supply, which will affect at least 10,000 local residents and tourists alike. They may have to buy water supply from private-owned businesses which charge higher rates, according to the official.